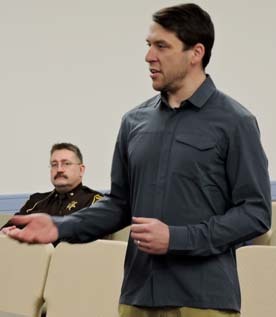 Graham Jaehnig/Daily Mining Gazette Keweenaw County joined several other counties across Michigan, as well as the Michigan Townships Association, in opposing two bills in Lansing that would completely restructure property assessing and take control away from local units of government. 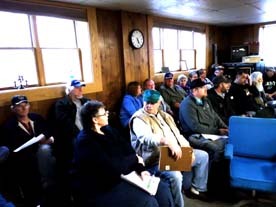 EAGLE RIVER — The Michigan Townships Association (MTA), like many counties, including Keweenaw, Baraga, Houghton, and Ontonagon, has gone on record opposing two bills that would shift assessment responsibility from municipalities and townships to the counties, resulting in drastically increased costs most counties cannot afford. The two property tax reform bills — House Bill 6049 and Senate Bill 1025 — would update property assessing laws to specify minimum quality standards that every city, township or county assessing office must meet. “The change is intended to improve taxpayer and local government fairness by providing transparent and consistent assessments,” states the Michigan Department of Treasury. In addition, the goal is to provide dollars for training and start-up to bolster the state’s shrinking assessor and board of review talent pools. Keweenaw County Equalization Director Elizabeth Anderson said if the two bills become law, equalization directors would be required to become Michigan Master Assessing Officers, which she said is not only unnecessary in Keweenaw County, it is something the county cannot afford. According to the MTA, assessing entities would be required to have at least 5,000 parcels that together generate at least $12 million in property taxes per year, unless the State Tax Commission grants a waiver. The Keweenaw County resolution opposing the state’s bills, states the county does not have large commercial or industrial properties, the total State Equalized Value of those properties is $11,110,926. Some local units in Michigan would be able to meet these standards on their own, states the MTA, while others could form joint assessing entities. Those that do not act on their own, do not form a joint entity, or fail to meet the proposed required standards would have to contract assessment administration with their county. 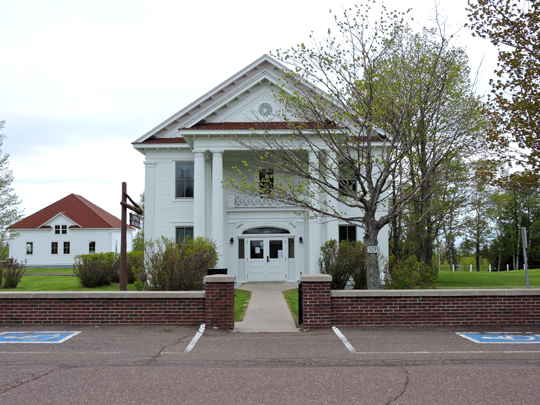 “Keweenaw County views HB 6049 and SB 1025 in its current form and unconstitutional, unfunded mandate,” the county’s resolution states, “which does little or nothing to accompish its stated goals,” states the resolution.